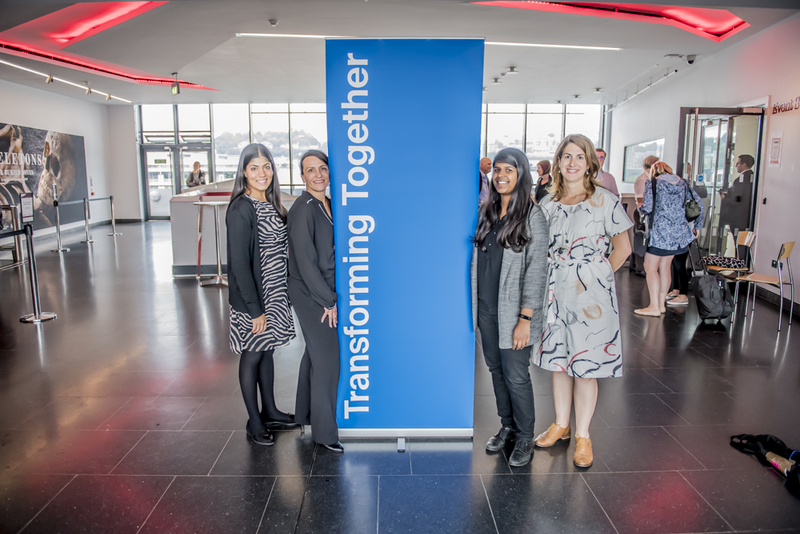 Last week Defra group hosted the latest Transforming Together event - a chance for transformation colleagues from all government departments to assemble and pool their knowledge and experience for the benefit of citizens. As hosts, we wanted to make the most of those assembled minds and put them to work. We ran a series of workshops during the day, designed to tease out ideas and contributions to help us with some of the challenges facing us at the moment. Tracking and recording livestock movements is vitally important for bio-security, food safety and farming management (we covered some of this in the short film we made a few weeks ago). Right now there are different livestock tracing services for different animal types. They are legacy solutions that are not up to modern standards and struggle to offer the functionality needed by our staff and users. We now have an opportunity to update them. We're conscious that with EU exit drawing closer, Parliamentary time for new legislation is going to be very hard to come by. So one question we asked the assembled minds at Transforming Together was: how do we make big changes to livestock traceability services without making demands on Parliament? How can we incentivise farmers to use a new service without regulation? This is a really fascinating area of transformation in Defra. How can data sharing help with transformation? What data can we share? Those were the two main questions at the heart of this workshop. There were many different answers and insights from the people who attended. One of my favourites was this: "Technology can do anything we want. But how can we overcome other blockers such as culture and legislation". We're also held back by outdated data policies. My view is that we should re-examine and review many of our existing data policies, some of which have been in place for decades. They were written at a time when data was a very different thing, captured and stored in very different ways. Modern uses for it hadn't even been imagined back then. Just think about it. The iPhone is now 10 years old (although it feels like it’s been around for ever). Policies that were written before the modern smartphone era could not have imagined how data is produced, captured, processed and shared today, let alone in the future as technology evolves further. Defra is one of the departments most affected by EU exit. It's fair to say that it represents a huge challenge for us - but also an opportunity to push ahead with transformative change. For obvious reasons, most of what was said during this session must remain private, but this was a great opportunity to discuss how we come together as departments to look at end to end services, rather than by department, focusing on data exchange for example. After the workshops, we were treated to a fascinating talk about transformation in New Zealand, as witnessed by a small team of civil servants who travelled there as part of an international learning exchange. It was really interesting to find out what our two nations are doing differently but also challenge areas that we are both addressing, and to hear what ideas they've had that we could perhaps copy. I was struck by one of the team mentioning how New Zealand's geography has a direct effect on its policies for transformation. It's a big, mountainous country with a very small, widely-distributed population, and its approach to transformation and to digital service design has to reflect that. There are echoes here for Defra: we too face geographical challenges. The geography is different so the challenges are different, but the relationship between the two remains the same. We're moving towards a much more agile government: thinking big, but building and iterating in small steps along the way. This is a significant change for us in Defra, and for colleagues in other departments too. It's not always easy, and there are big challenges to overcome, but we're heading in the right direction. One thing that's essential to make sure we continue heading that way is constant engagement with colleagues. That's why events like Transforming Together, and OneTeamGov that took place the following day, are so essential. We can't be one government and one team if we don't constantly keep each other up-to-date with successes, failures, and ideas. Thanks to the team who organised the event, and to everyone who carved out time in their diaries to attend. Time is precious for all of us, so I particularly appreciate you giving up some of yours. This approach now being recognised as the future for next generation software and pioneered in UK.....decades ahead of its time!